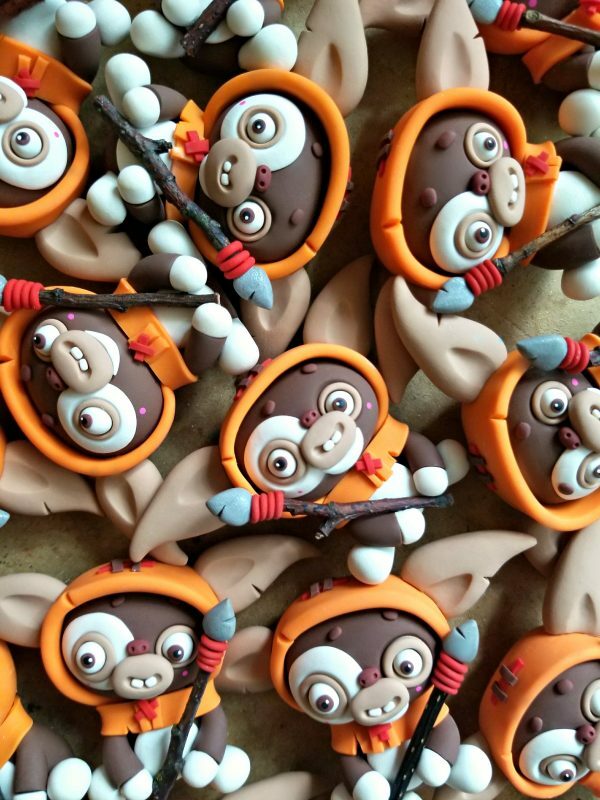 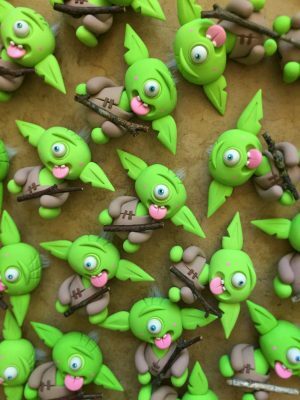 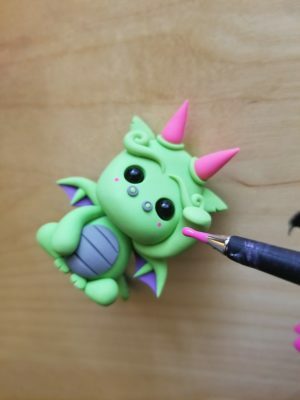 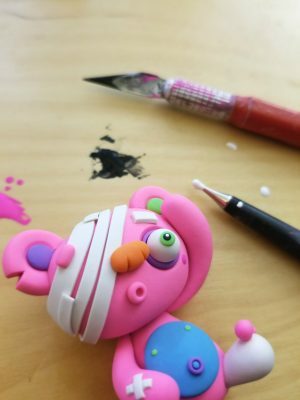 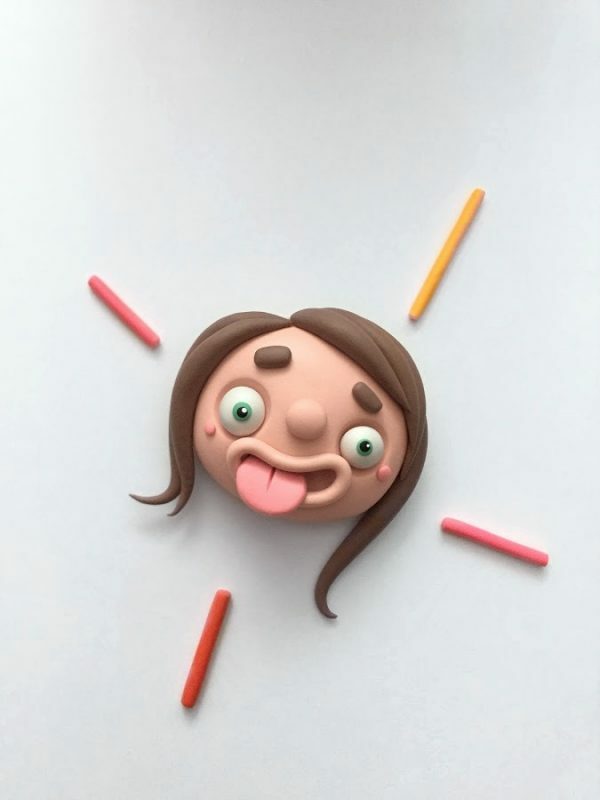 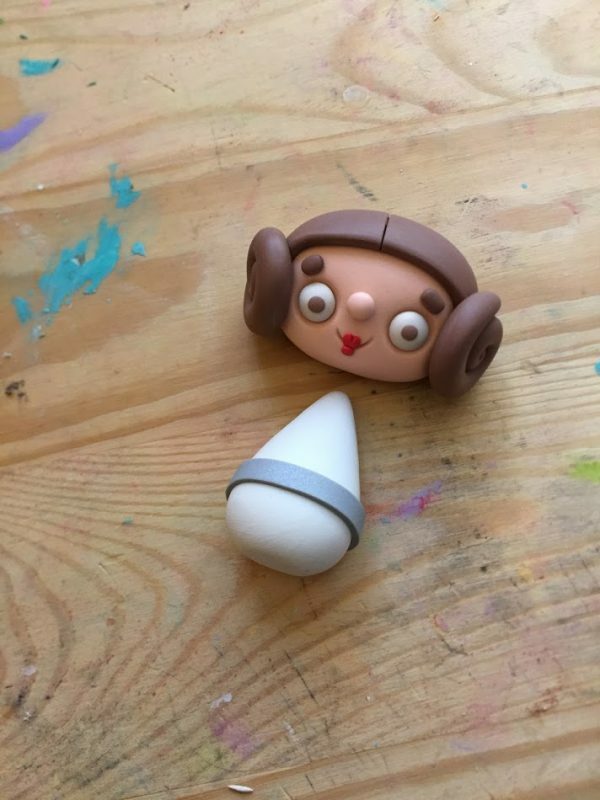 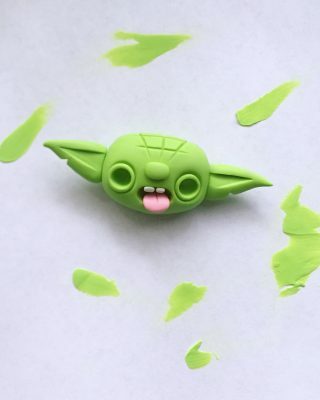 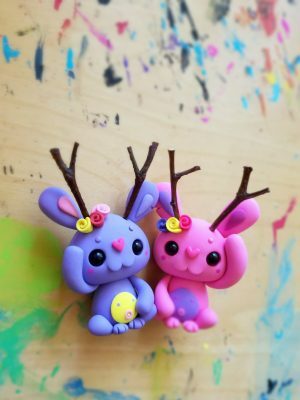 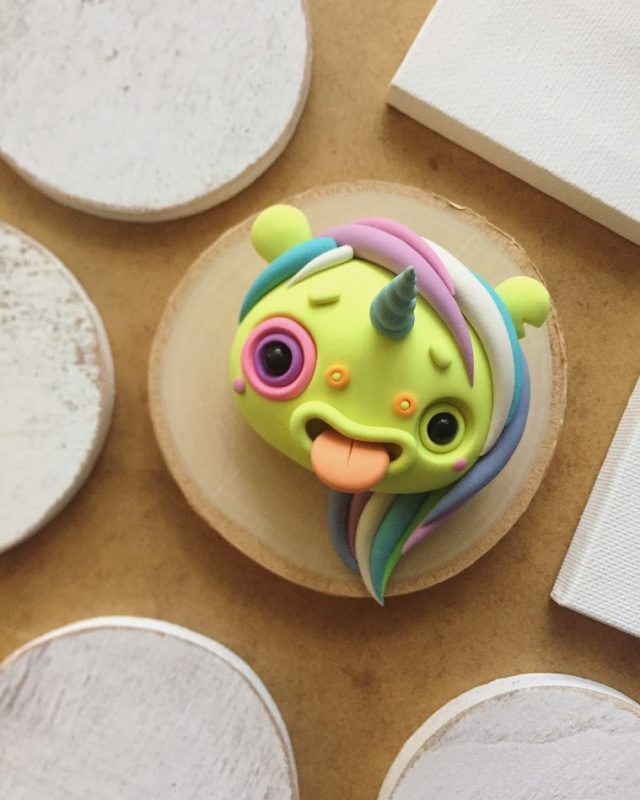 Soon after, her friends started encouraging her to create these sugar paste characters into clay; something that they could keep for a lifetime. 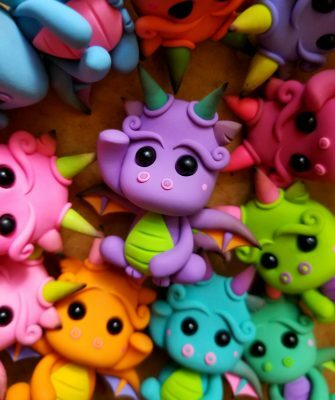 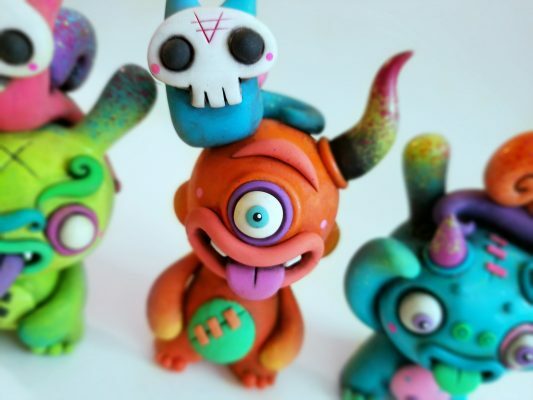 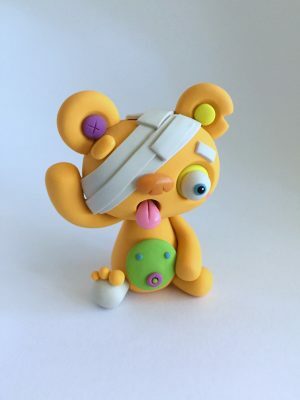 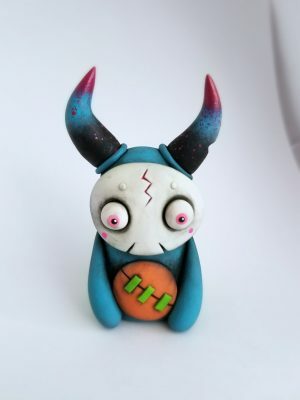 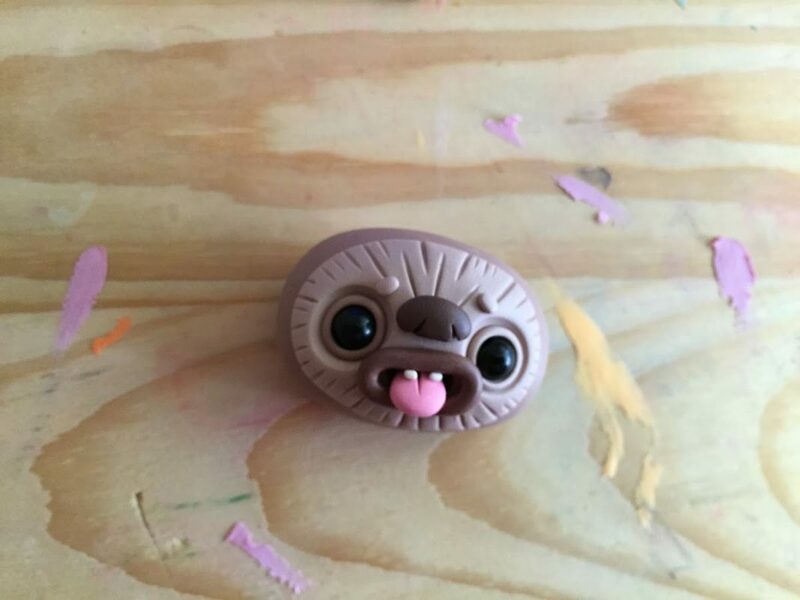 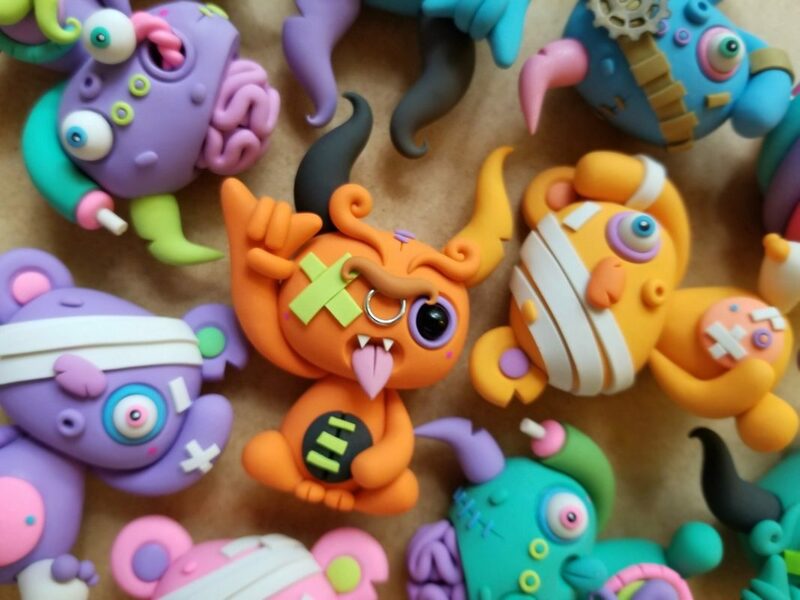 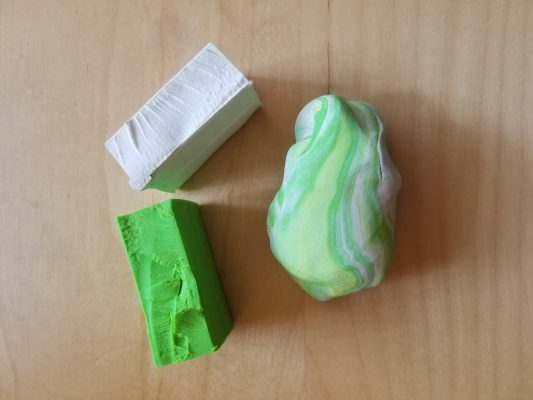 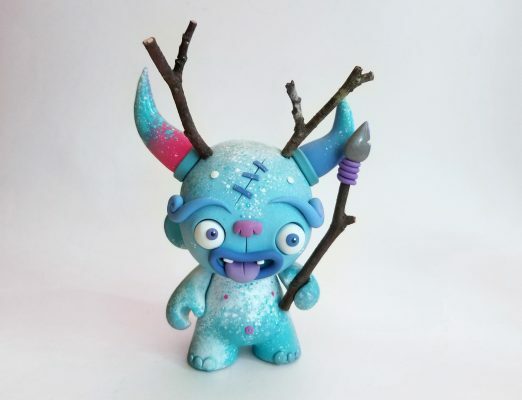 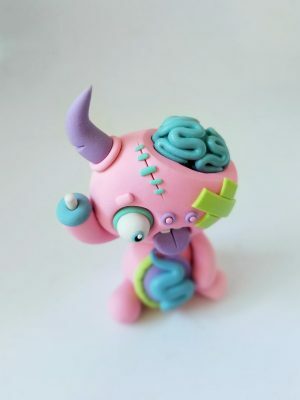 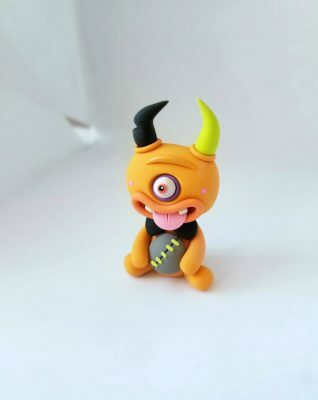 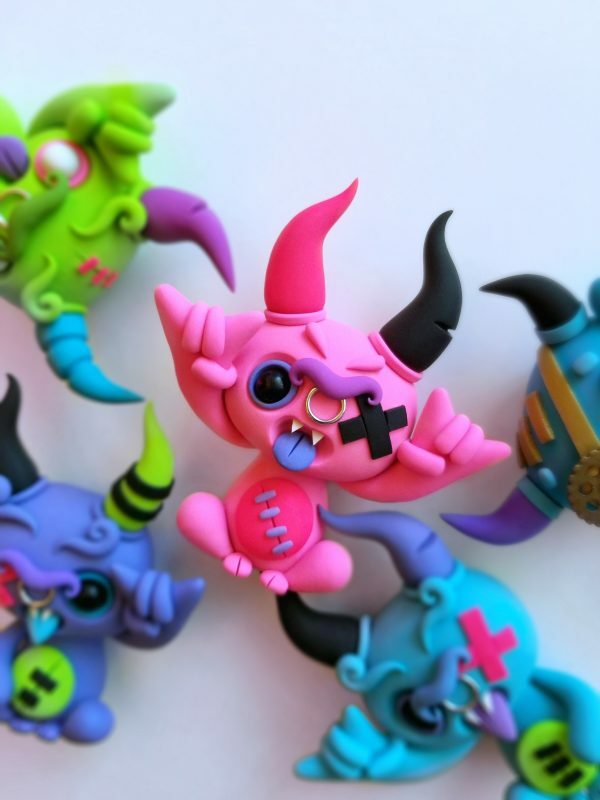 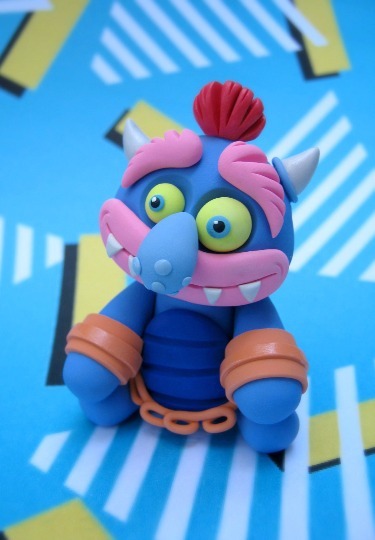 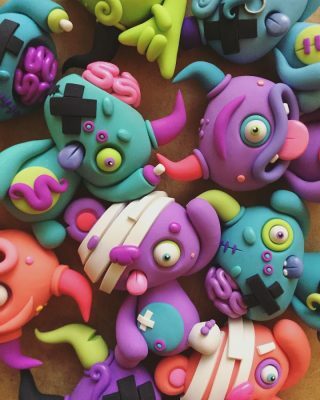 So with that, Leah bought some clay and after a lot of practice, experimenting and imagination her monsters evolved into what they are today – the Little Lazies! 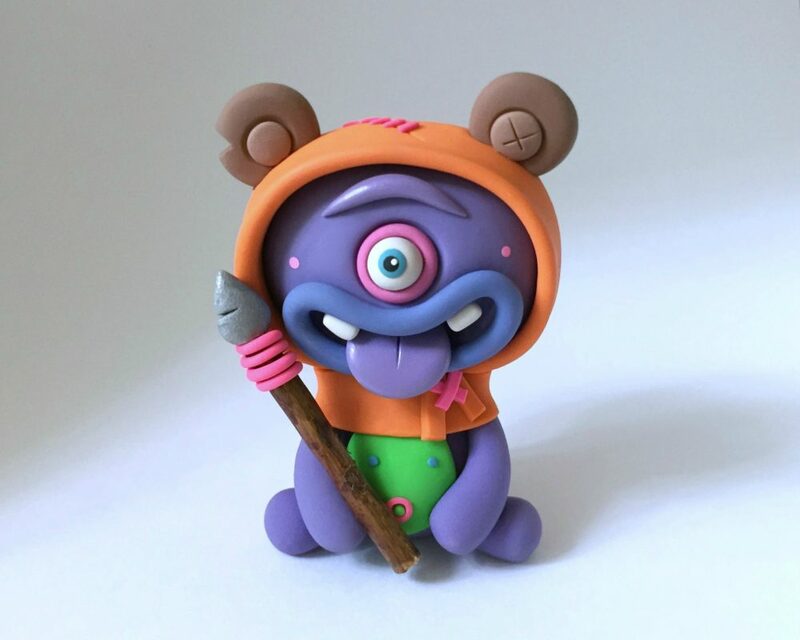 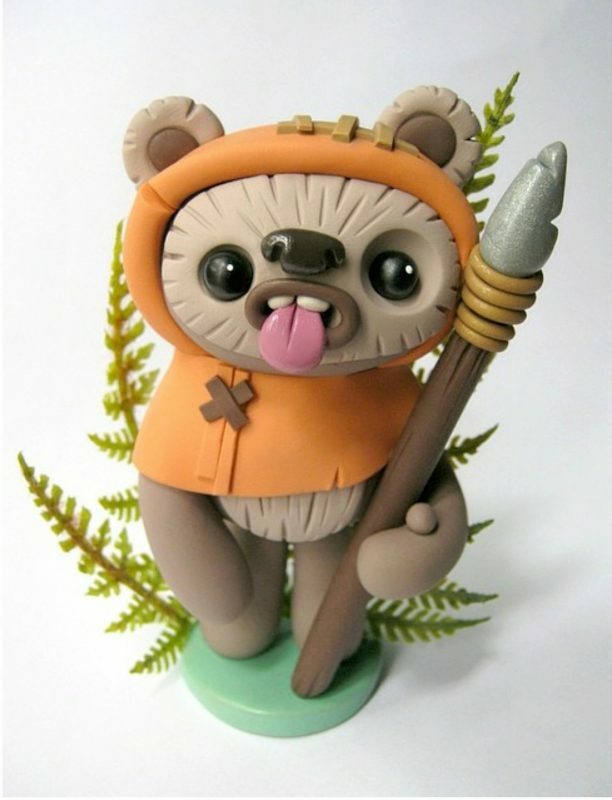 I LOVE CREATING ORIGINAL CHARACTERS, BUT ALSO FIND MYSELF BEING INSPIRED BY POP CULTURE INCLUDING STAR WARS, RETRO TOYS, JAPANESE FILM / ANIME, HORROR, FANTASY & SCI-FI. 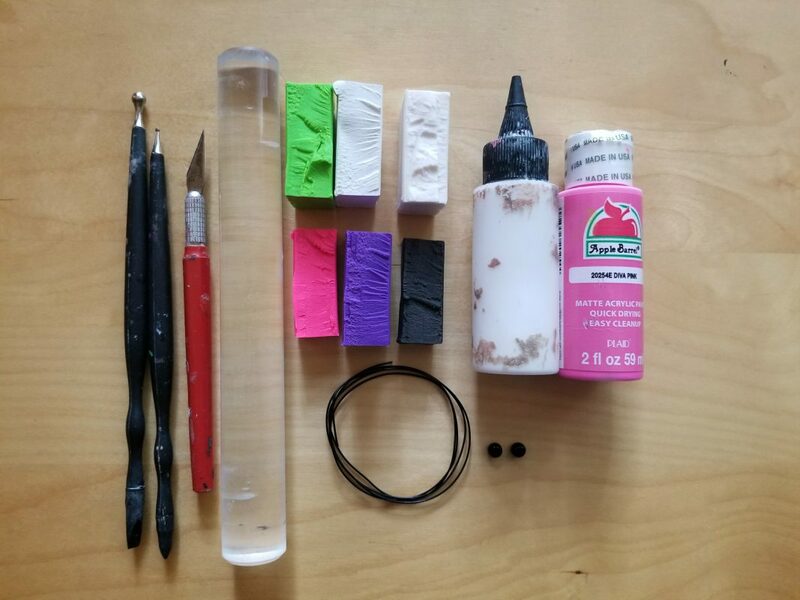 I have a Bachelor's Degree in Graphic Design. 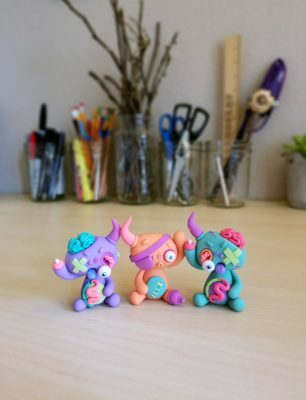 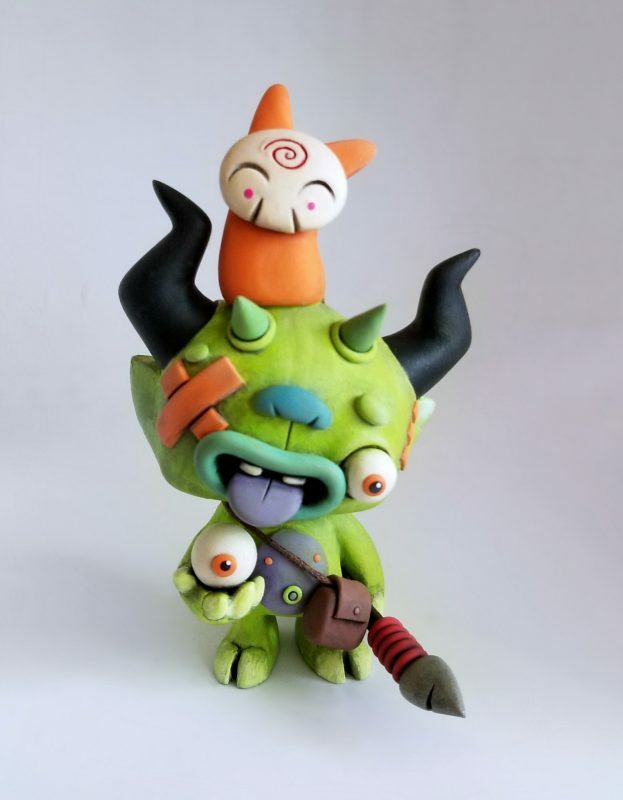 I started sculpting Little Lazies in 2010, then started sculpting full time in 2013. 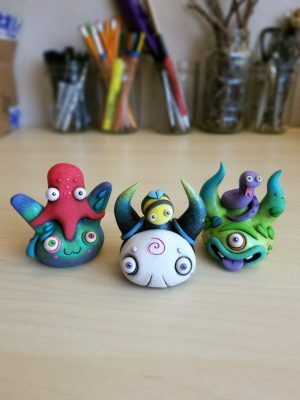 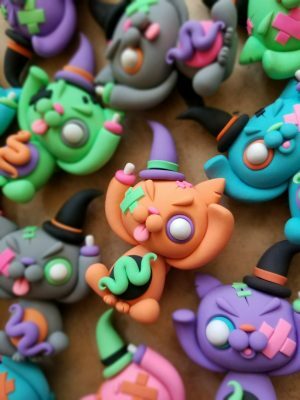 I primarily work with Sculpey Polymer Clay. 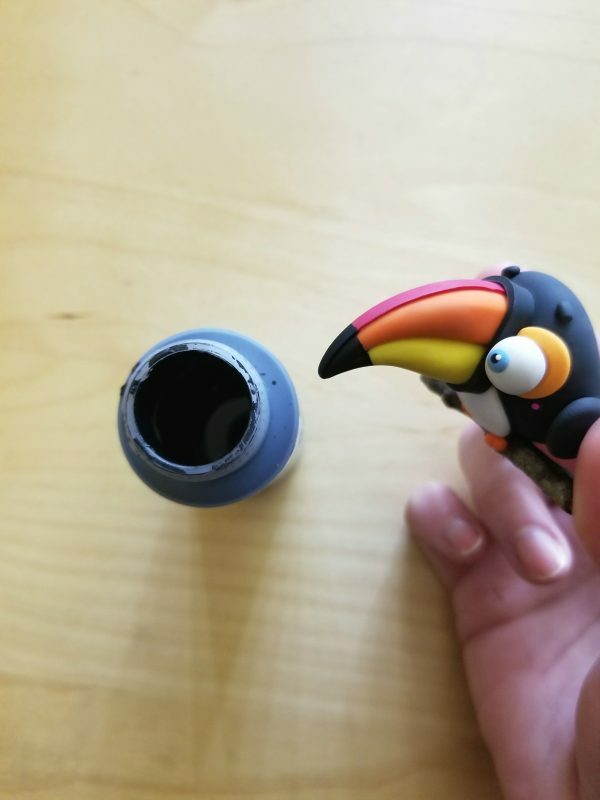 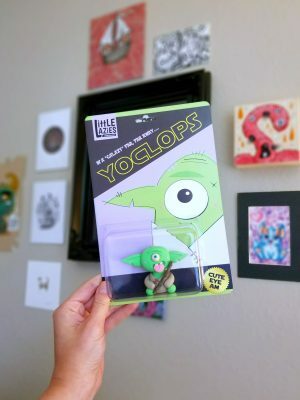 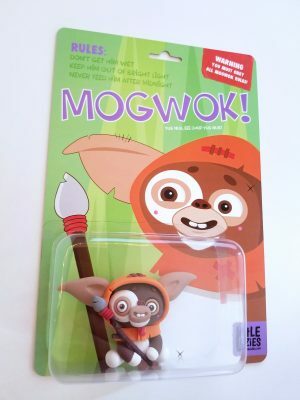 I not only enjoy making Polymer Clay creatures, but also enjoy Customizing Toys / Blanks and creating small runs of Bootleg Toys in cardback packaging. 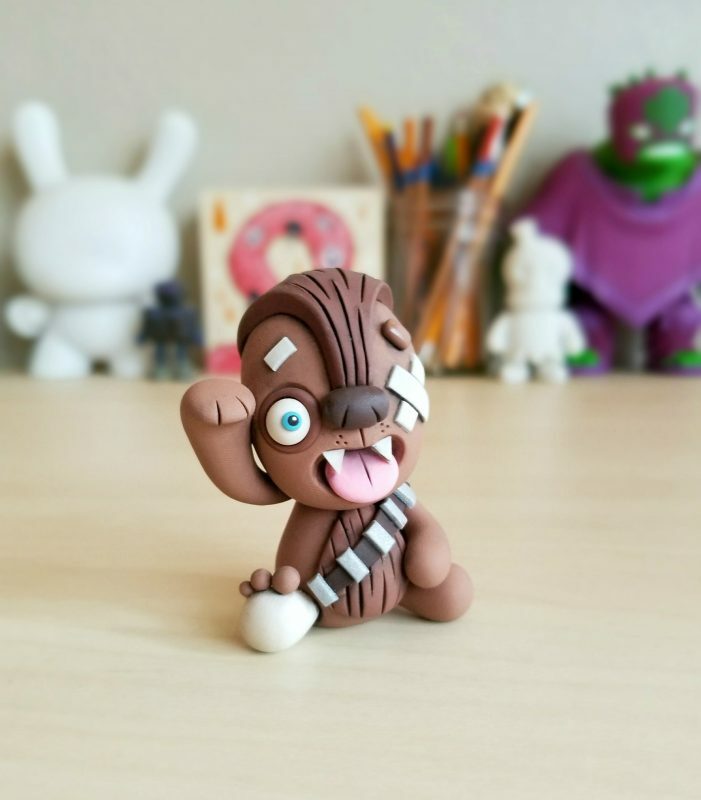 I love creating original characters, but also find myself being inspired by Pop Culture including Star Wars, Retro Toys, Japanese Film / Anime, Horror, Fantasy & Sci-Fi. 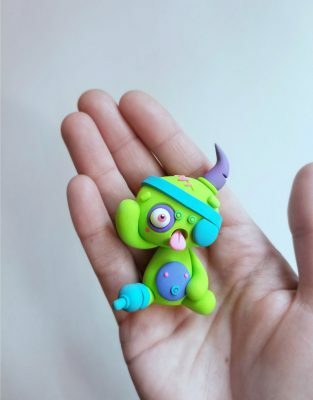 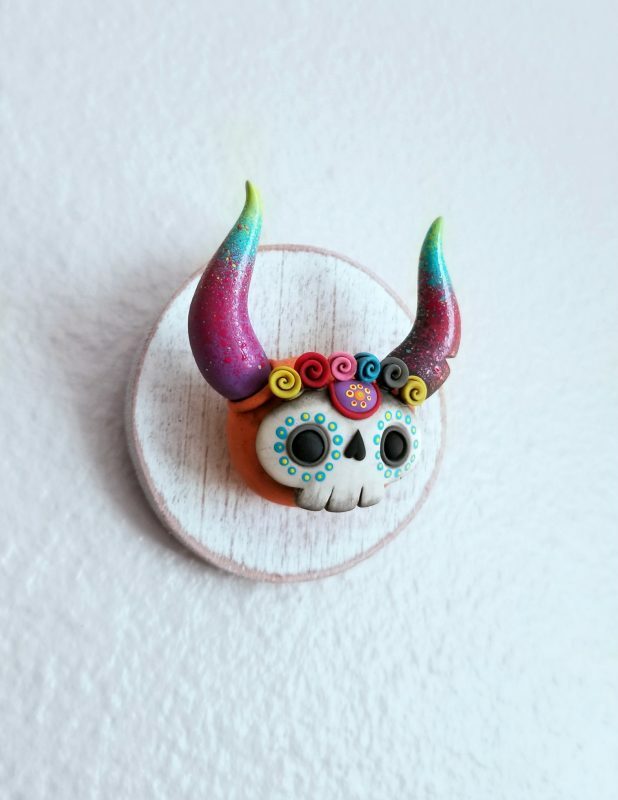 My work is usually small, around 2-4" tall, but sometimes I work larger, around 6-7″.